Back in the day, sink manufacturers tried to promote a smaller “dental sink”. I think this may have had to do with (1) the fact there generally was only one bathroom and (2) concerns about hygiene and spreading disease. 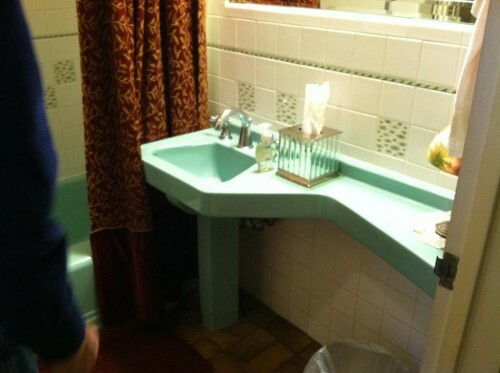 I think that if you were to find a small sink like this — and if it were matchy-matchy with your main sink — wouldn’t it make a fantastic addition to a period bathroom recreation? A fabulous conversation starter … and hey, useful, too, especially if you only had one bathroom. Readers: Let’s keep an eye out at Re-Store and salvage places to see if we can spot one. 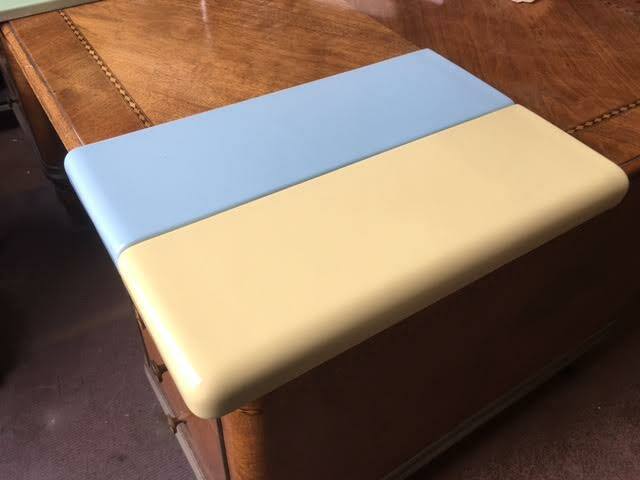 John from deabath.com, if you are reading this, I’d love to hear if you ever come across these. 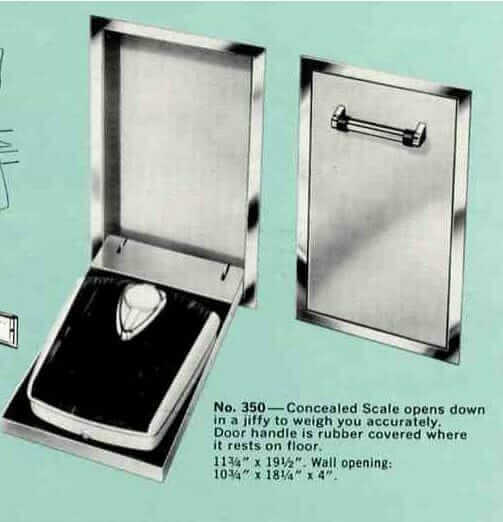 Now that I have made a big deal about actually reading my piles and piles and piles of midcentury marketing materials, I must qualify by saying that this explanation of dental sinks doesn’t come from something definitive that I found all buried away. (I remembered them as a rare feature once I started spotting other oddities in my new wave of research.) But, I did see them called ‘dental sinks’ in the brochure that featured this photo. And the rest of the stuff in my hypotheses I’ve read about some place. I think that 2011 will be the year I really start taking notes and recording my sources, I guess. Reader Jocelyn sent me a link to this 1955 American Standard advertisement — it promotes the dental lavatory (aka, sink) as helping to relieving bathroom traffic congestion in the morning. 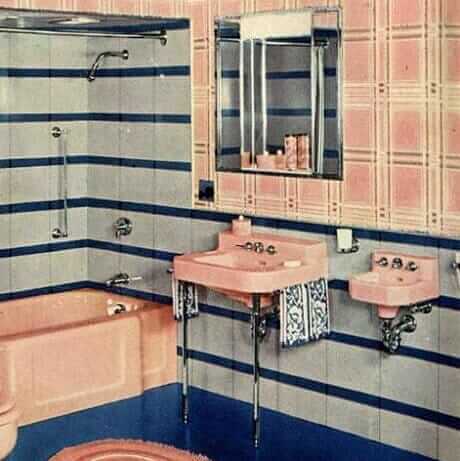 This was the era of one-bathroom households, remember. Morever: Note that the ad says the dental sink has a flushing rim. Now I really need one of these! Thanks, Jocelyn! Above: Another design that we spotted! Spotted on page 21 of my 1949 Crane catalog. 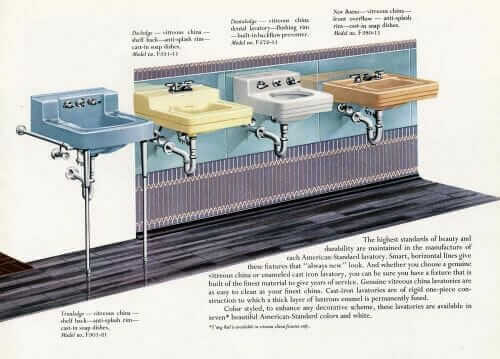 Above: Here’s an American-Standard “Dentaledge” sink with flushing rim, from my 1955 catalog. We just bought a 1961 ranch house where a vanity has replaced the sink. The bath is very small and the vanity makes it even smaller. The original homeowner said that the builder goofed and made the living room bigger than needed thus making the bath very small. Any idea who made small sinks to fit? O have heard trailer sinks will work. This just in from DEA Bathroom Machineries. Just saw your article on dental sinks. 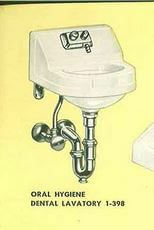 As a matter of fact, we have a 1960’s vintage dental sink that “flushes”. I have enclosed the link to our webpage so you can read more about it. It is the second item from the bottom of the first page. ooooooooooooooooooh, very cool! I added it to the story (John is always okay with my doing this) with links… Note, patty, that in the story we also link to a 1955 American Standard ad for a similar dental lavatory with flushing rim! Yeah dental sinks are one of a few plumbing oddities from historic construction. Their flushing rim may have been a carryover from another product manufacturers of the time were producing: flushing service sinks. Kohler and American Standard (http://www.us.kohler.com/us/Tyrrell-21-x-27-1-8-floor-mounted-siphon-jet-flushing-rim-service-sink/productDetail/service-sinks/419053.htm) still produce them, and they seem to have found a niche in medical and scientific, but in historical situations, I believe richer residences had them for disposal of food scraps (have not confirmed). Another interesting oddity being the sitz bath, a close relative to the bidet, but predominantly aimed at cleaning your posterior. Likewise there was food baths, but it appears neither small bath really took, and I haven’t seen them referenced after the 30’s. 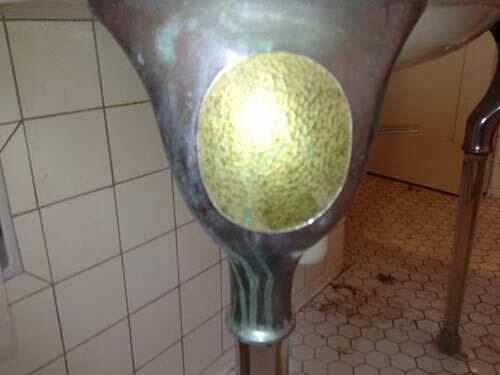 Historical architectural plumbing texts provide for a great diversity in oddities. I love the idea of having the dental sink at child height… another unusual bathroom item I have seen at a home is a child height small urinal! Dental sinks are a great idea. I’m always cleaning toothpaste residue from my bathroom sink.